The Very Rev. Fr. George Baalbaki currently serves as the parish priest of St. Nicholas Antiochian Orthodox Church in San Francisco, California. 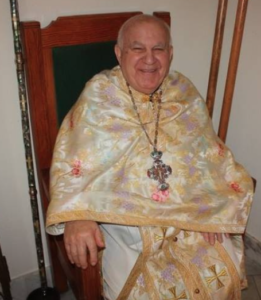 After graduating from St, John Damascus University in Lebanon, Father George served as a pastor of the Holy Cross Church in Damascus, Syria from 1986-1997. From 1997-1998 Fr. George served as a dean of the Patriarchate Cathedral Dormition of St. Mary. During his early years, Fr. George was a member in the Appeals Spiritual Court in Damascus, Syria. In 1998 Fr. 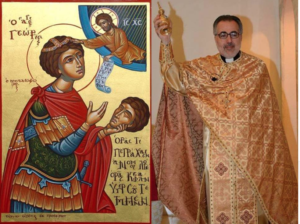 George was moved to St. Mary Antiochian Orthodox Church in Berkley Michigan where he served for 14 years and continued his education to receive a Doctorite of Ministry in Theology from the University of Pittsburgh. Very Reverend Fr. 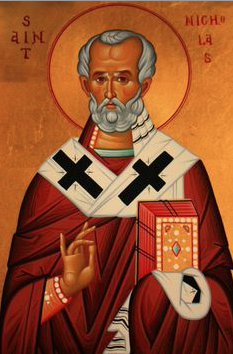 George was also elevated to the position of Arch-priest. In August of 2012, Fr. 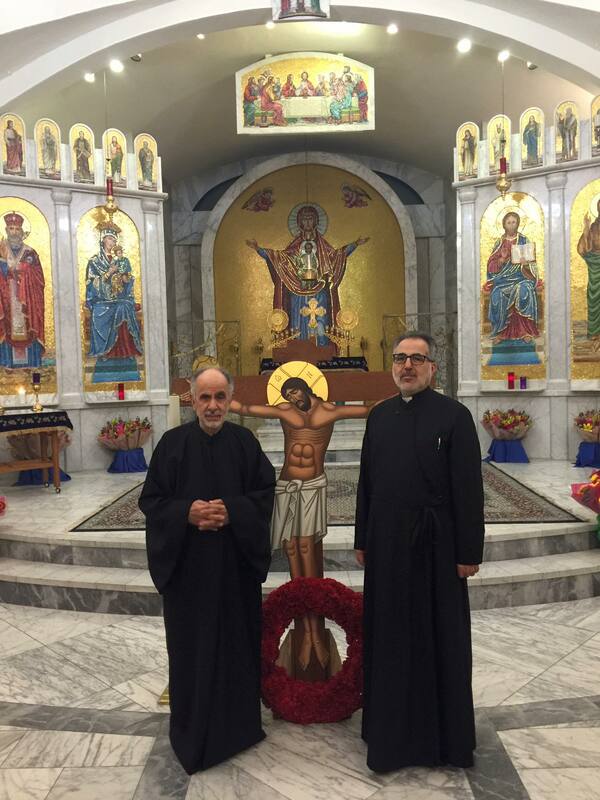 George was moved to St. Nicholas Antiochian Orthodox Church in San Francisco. Where he now presides as Very Reverend Arch-Priest. Fr. George with his family, Christmas Eve. Fr. George is accompanied by V. Rev. Fr. 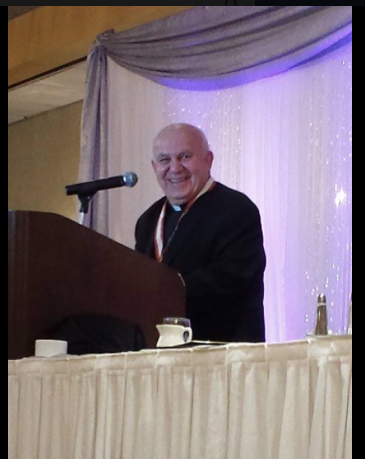 Gregory Ofiesh, Pastor Emeritus. Father Gregory received a BA in Philosophy and classics from Duquesne University in Pittsburgh, PA; attended Holy Cross Theological Seminary and completed his theological training at St. Vladimir’s Seminary. He received a Master’s Degree in Religious Education from union Theological Seminary. From 1959 until 1964, he served as Pastor of St. Elijah Church in Oklahoma City, OK. In 1964, he was assigned to St. Nicholas Antiochian Church in San Francisco, where he served until his retirement in 2000. 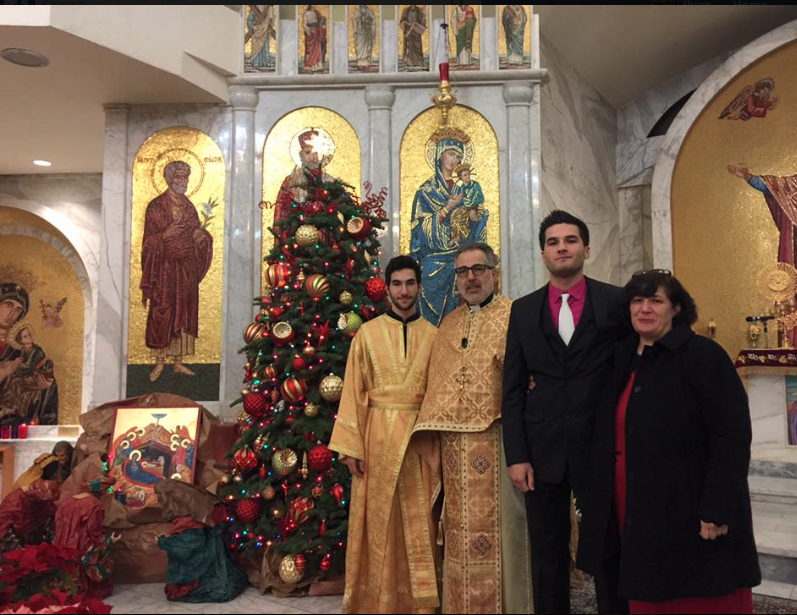 Subdeacon Michael Khoury – Hall Manager.